Enthusiastically, they opened up the door to their trailer, which had been in storage for the winter. They slowly entered the trailer and saw the horror – tiny little black “pebbles” scattered throughout the trailer. A mouse or, most likely, mice called their trailer home throughout the winter. 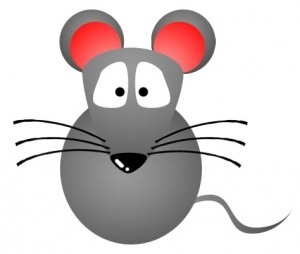 No matter how hospitable you are, a mouse is a menace. They are party-poopers. They are a downer to the beginning of camping season. Well, luckily (I’m knocking on wood right now), we have yet to experience winter residents in our trailer. So, what do we do to keep them out of our trailer? Buy dryer sheets, lots and lots of dryer sheets. 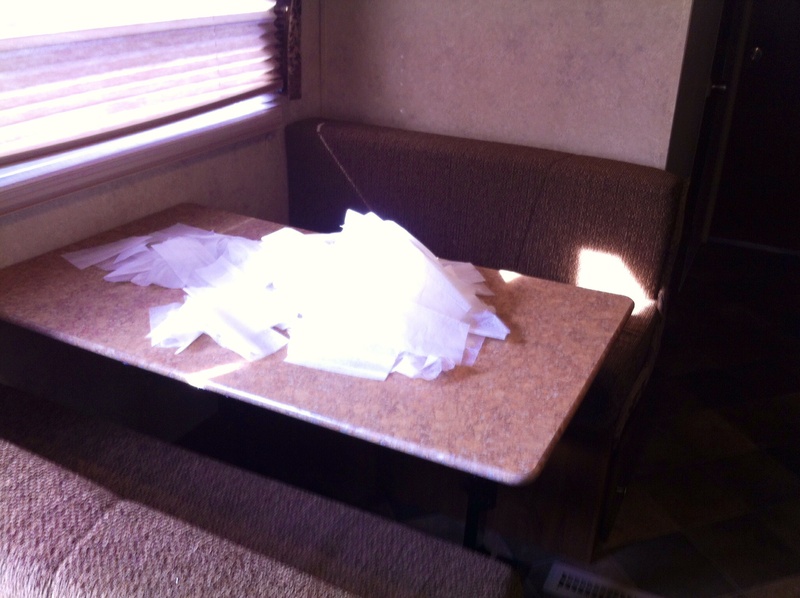 Put dryer sheets EVERYWHERE in your trailer – every single nook and cranny. Have the trailer stored in a lot with lots of other trailers – hopefully the mice go and pick someone else’s trailer. Typically, I buy 1 gigantic box of the smelliest dryer sheets that I can find. The mice do not appear to be brand loyal, so I go with whatever is on sale at the time. I literally put the dryer sheets everywhere. Under mattresses, on mattresses, in every single cupboard, on every single shelf, under cushions, on tables, outside storage compartments…you get the idea. I am sure the people who winterize our trailer for us think that it’s overkill, but I swear by my methodology. You can see that I wasn’t exaggerating when I said that I used lots of dryer sheets! An added bonus to the dryer sheets is the fresh laundry scent in our trailer when we open it up. How to you keep the mice away? 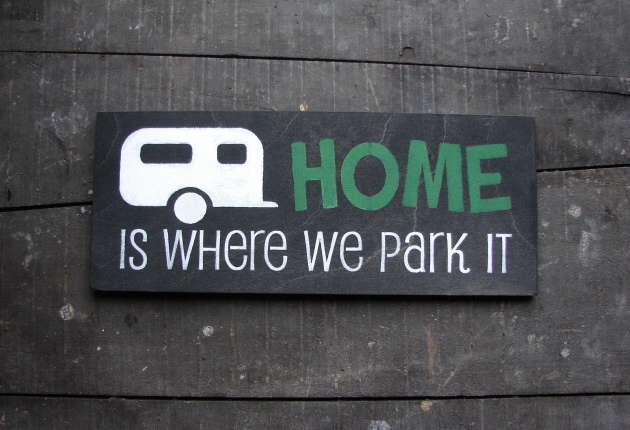 This entry was posted in Camping Tips & Tricks and tagged Camping, DIY, Dryer Sheets, Home, Mice, Mouse, Pest, Project, RV, Storage, Travel Trailer, Winter, Winter Storage, Winterizing. Bookmark the permalink. We never took any precautions when we stored our trailer in AZ. I guess they all died of thirst before they got there! We left it for a month in Tennessee and it was infested with ladybirds when we came back! Ladybirds! My husband detests ladybirds/ladybugs. I’m pretty sure he would not step into our trailer if we had an infestation! Haha! We found them for weeks and released them all down the east coast! My word! Well at least they cannot do a whole lot of damage! I wonder if there is any secret for keeping ladybirds out or how to get rid of them once they are in. Cider vinegar perhaps? We were told bay leaves. After the fact, of course. They didn’t bother us too much, but you’d better stock up your herb supply to protect hubbie! Haha! I should video tape his reaction sometime. He is even worse when it comes to June Bugs. He is all macho typically – a hunter and a fisherman. But ladybirds and June bugs make him squirm! He would probably be upset if he found out that I am emasculating him like this! Lol Poor guy! He is probably as fond of them as himself is of spiders! I’m going to try this. Thank you! It hasn’t failed us yet! Let me know how it works out for you! Happy Camping!